Teach Robotics in the Classroom or Compete Globally with Classroom & Competition Kits. 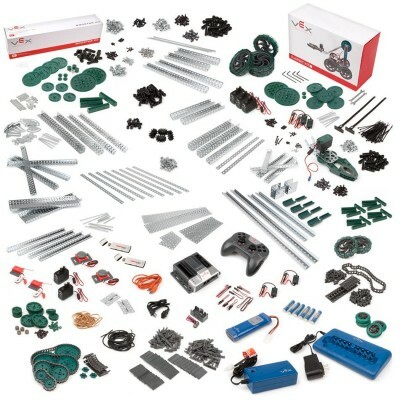 VEX Classroom & Competition Kits include everything you need to design, build, power and operate robots. Programming software (sold separately) is required for customization of robot control, autonomous programming, integration of sensors and more. Use Autodesk's VEX Robotics Curriculum to start teaching with VEX Robotics, from the basics of engineering, robotics and design all the way up to a semester-ending classroom competition. 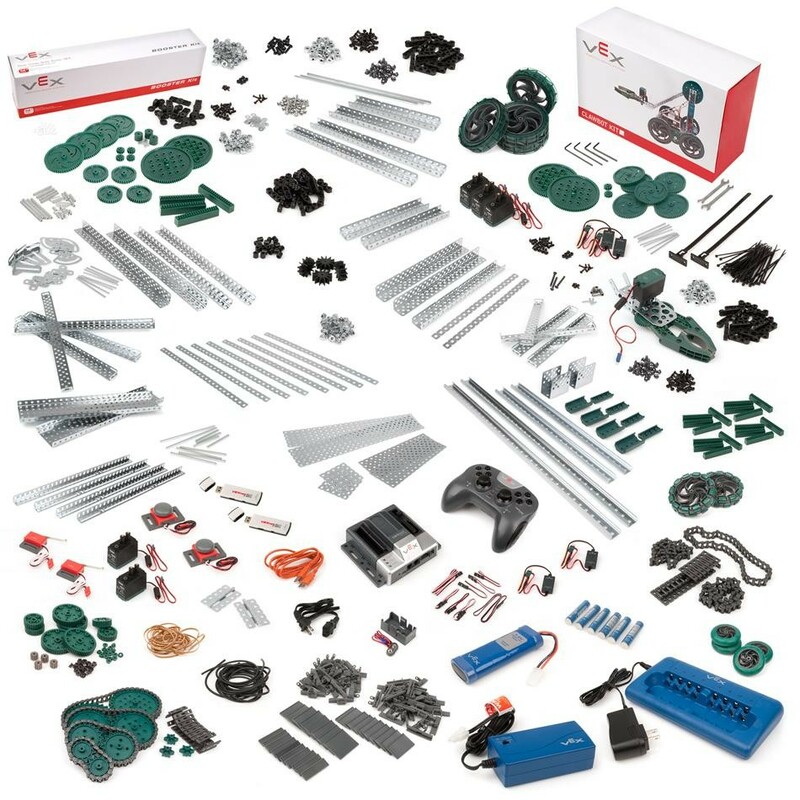 If you're fielding a competitive robotics team outside the classroom, these kits include the most popular items used to design and build VEX competition robots. Robot Battery, Joystick Batteries and Chargers. Mechatronics Add-On Kit (1 motor, 2 sensors included). (16)High Strength Square Gear Insert. (2)12" Long Linear Slide Track. (2)17.5" Long Linear Slide Track. (2)Angle, Slotted 30 holes Inverse. (102)Screw, 8-32 x 1/4" Long. (42)Screw, 8-32 x 1/2" Long. (1)AAA NiMH Rechargeable Battery 6-pack.